As a dietary supplement mix 1 scoop with 8-10 ounces of water or your favorite beverage 1 to 2 times daily. DO NOT EXCEED THE RECOMMENDED SERVING SUGGESTION. Consult a physician prior to use if you have any medical conditions. Do not use if you are pregnant or lactating. KEEP OUT OF REACH OF CHILDREN. 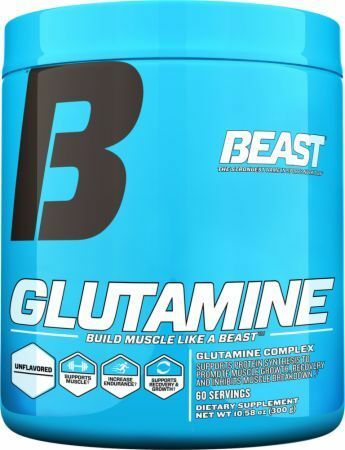 Why Supplement with Beast Sports Glutamine? Can Beast Sports Glutamine Help to Preserve Muscle Mass? Does Beast Sports Glutamine Help With Muscular Fatigue?